Black / Death Metal. Chile. Conceived in 2010, the will of Chile’s MALIGNANT ASCETICISM is whispered and executed through those who walk the left-hand path, called to spread the message. Influenced by the most sinister currents of black metal, Ascensum Serpens gets inside the most sublime subjects of spiritual elevation, through the mysteries of sexual magick. 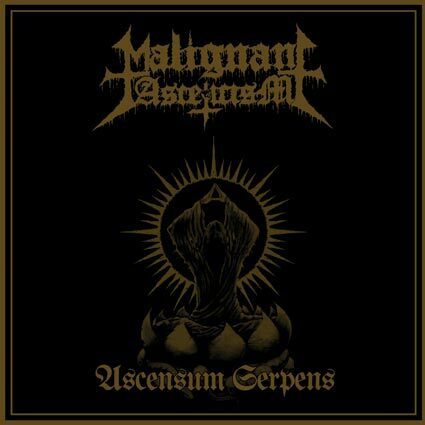 A conscious trip inside the darkest paths, expressed through the traditional South American hate, MALIGNANT ASCETICISM’s Ascensum Serpens 7″ EP speaks dark secrets: OUR WORD IS SPILLED BLOOD, SEAL OF THE PERSISTENT, EXISTENCE AFTER EXISTENCE!